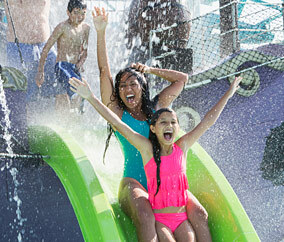 Make a splash with huge savings at top water parks from New York to Las Vegas! Get discounted admission for the whole family at parks nationwide, including Six Flags Hurricane Harbor, Wet ‘n Wild, SeaWorld’s Aquatica, and many more. Dive in and discover your next weekend getaway!